Steel structure is one of the more common forms of construction in modern construction. China was the earliest country to construct a weight-bearing structure with iron. As early as the Qin Shihuang era (246-219 BC), it had already used iron as a simple weight-bearing structure, whereas in the 17th century Western countries started to use metal-bearing structures. From the 3rd to 6th century AD, our people, who are smart and diligent, use iron chains to build iron suspension bridges. The famous ferry bridge of Luding, Dadu River in Yunnan, Yuanjiang Bridge in Yunnan and Panjiang Bridge in Guizhou are all examples of early iron-bearing structures in China . Although our country had remarkable achievements in the early iron structure, due to the shackles of the feudal system of 2000 years, the science is underdeveloped. Therefore, long-term stay in the level of iron buildings. It was not until the end of the 19th century that our country began to adopt modern steel structures. 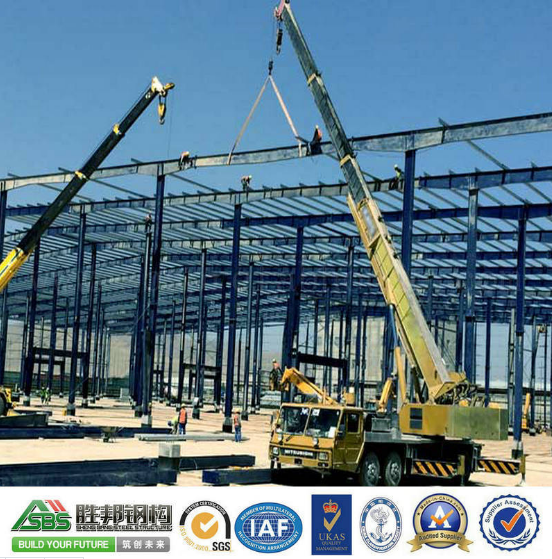 After the founding of New China, the application of steel structure has been greatly developed, both in quantity and quality far beyond the past. In the design, manufacture and installation of technology have reached a higher level, master a variety of complex building design and construction technology throughout the country have built many large-scale and complex structure of the steel plant, large-span steel The structure of civil buildings and railway bridges, etc., China's Great Hall steel roof truss, stadiums in Beijing and Shanghai and other places of the steel truss, Shaanxi Qin Shihuang Bing Ma servant Museum of the three hinged steel arch and the Beijing Bird's Nest and so on. "Steel Design Code" GBJ17-88 has been abolished since December 1, 2003, the current implementation of the "Steel Structure Design Code" GB50017-2003.